Earn SG Points when you perform specific actions. Earn SG Points when you install applications for your profile. 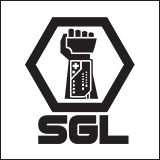 Earn SG Points when new audios are being added on the site. Points will be given when you start a new conversation with a squad of friends. Earn SG Points when you reply to a conversation. Earn SG Points when you invite another user into an existing conversation. Earn SG Points when you read a conversation. Earn SG points when you RSVP attending a tournament. Points will be given when you add another user as your friend. Points will be deducted from your account when you remove your friend. Points will be given when you approve an incoming friend request. Points will be given when you invite your friends to join the site. Points will be given to you when your friends who are invited registers on the site. Earn SG Points when you create a new squad on the site. Points will be deducted when your squad is deleted. Earn SG Points when you join a squad. Points is deducated when you leave a squad. Earn SG Points when you ensure that your squad is up to date.